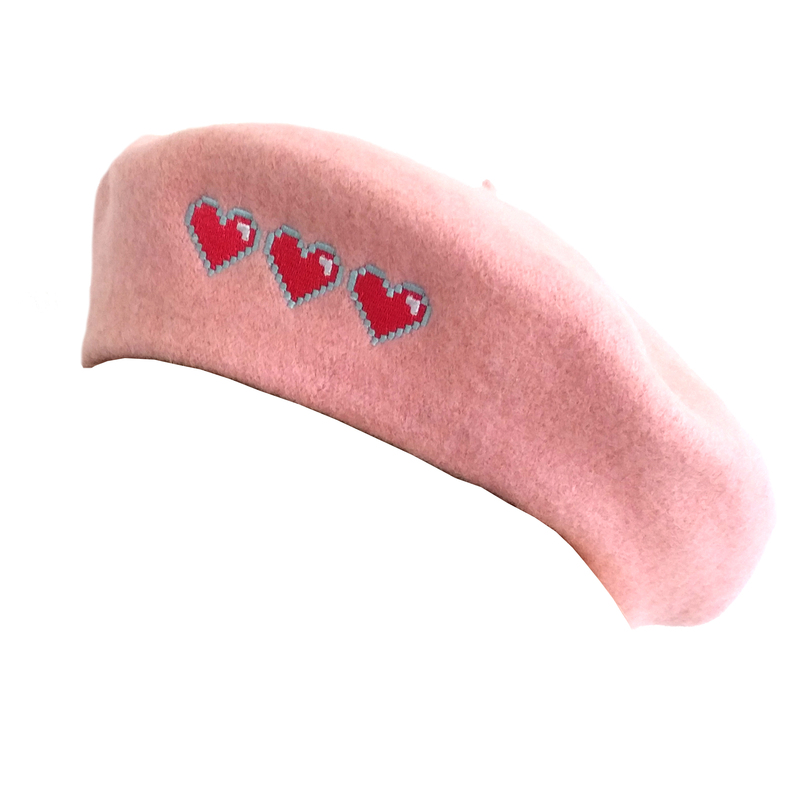 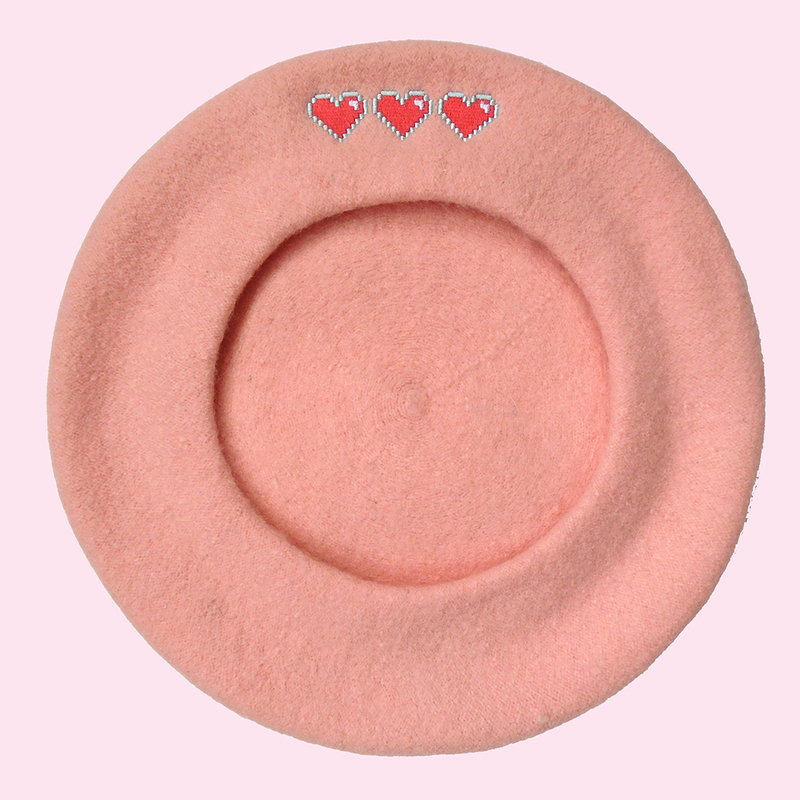 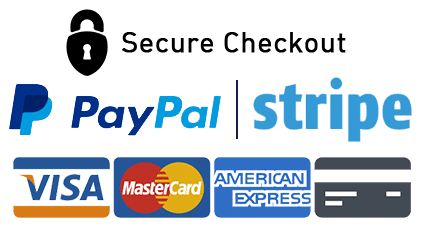 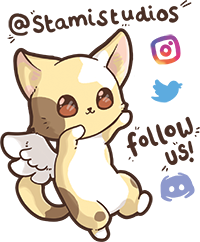 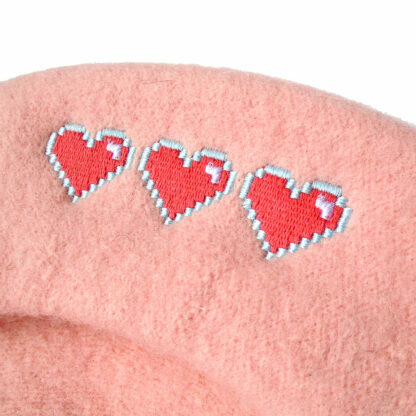 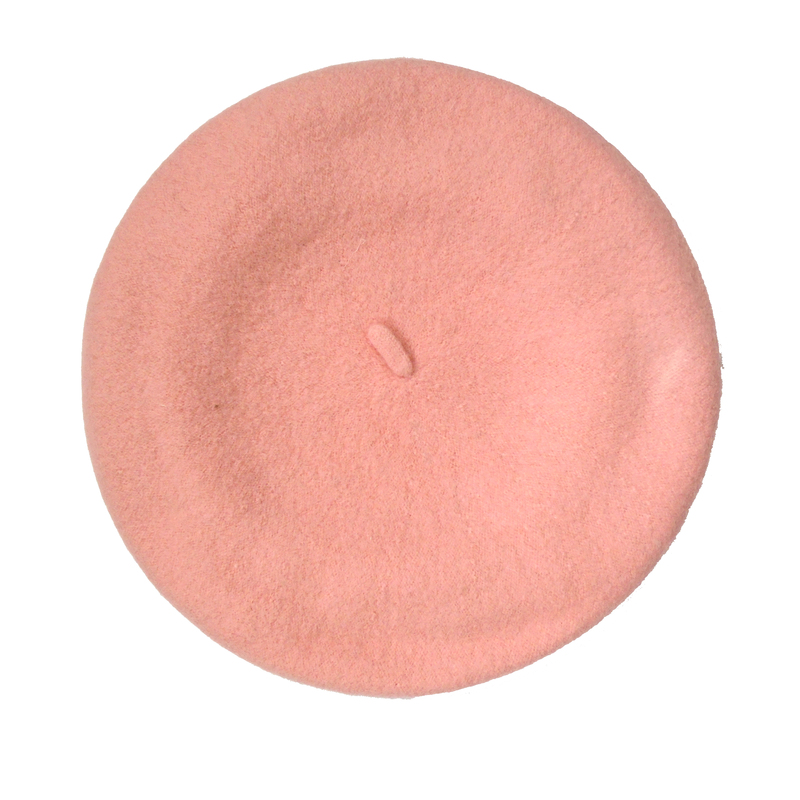 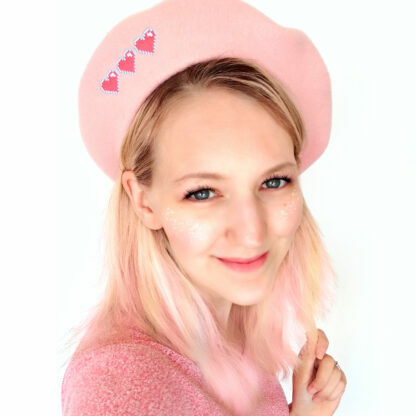 Our pixel heart beret is absolutely perfect for a cute gamer – and I know you must be if you’re checking this product out! 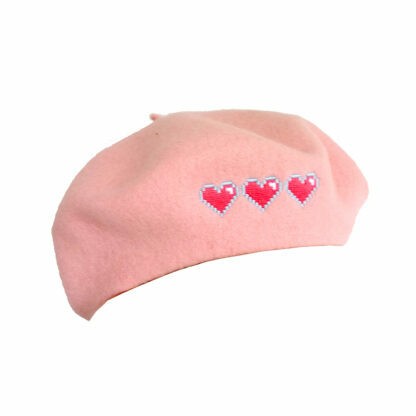 Made from 100% wool the embroidery and hat are very high quality! 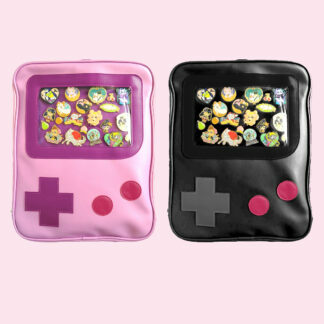 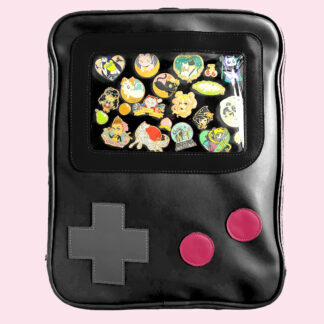 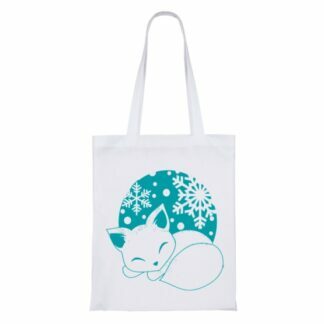 Get that inner girl gamer out into your fashion.